To establish a successful restaurant, the provision of prompt, efficient, and high-quality service is essential. 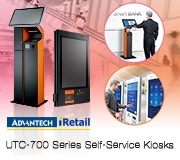 Advantech iscommitted to helping business owners increase operational efficiency and reduce customer wait times. 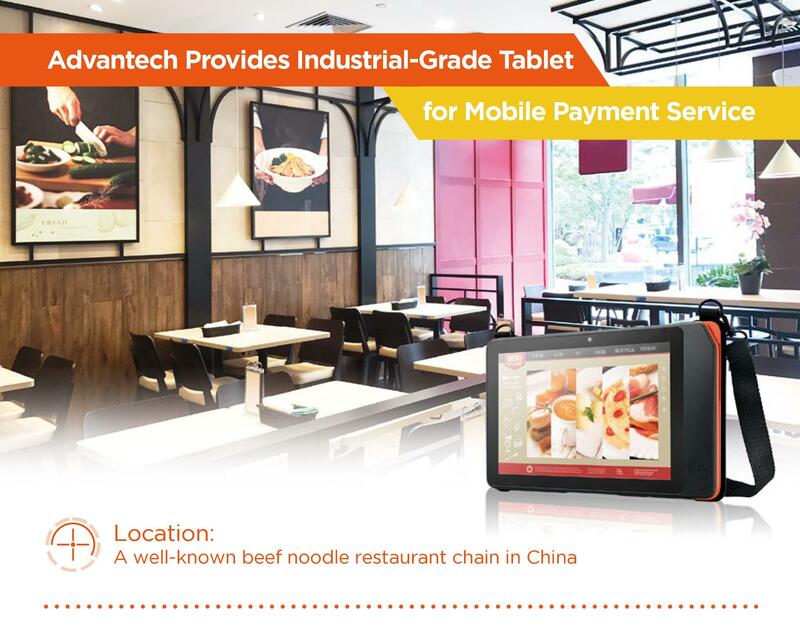 For this project,a well-known beef noodle restaurant chain in China implemented Advantech’s mobile table service tablet to enhance theoverall service and customer satisfaction. To date, the restaurant chain has established more than 120 restaurants throughout most cities in China. These restaurantsoffer a wide variety of high-quality products; the most notable of which is their bowl of authentic beef noodles. 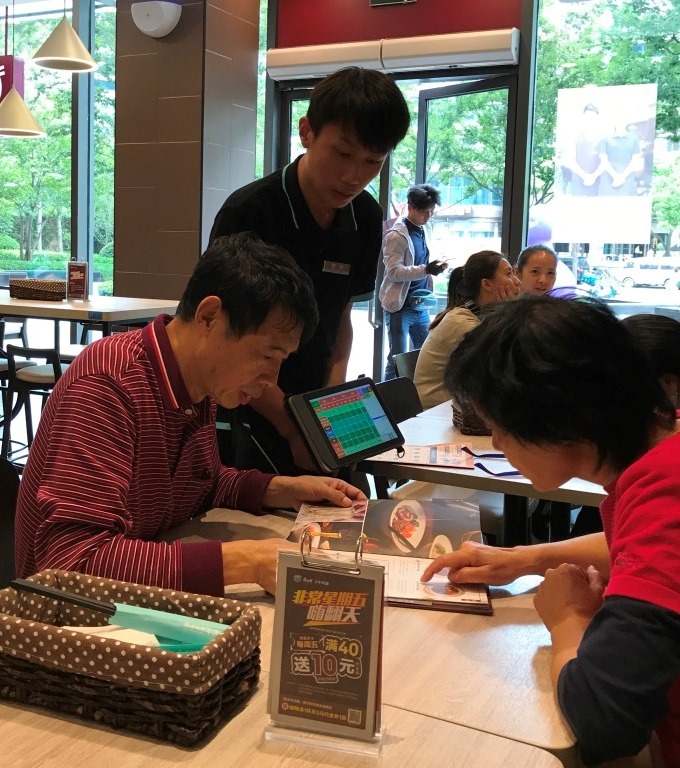 However, withthe chain’s increasing popularity, customers were soon facing length queues for ordering and payment. 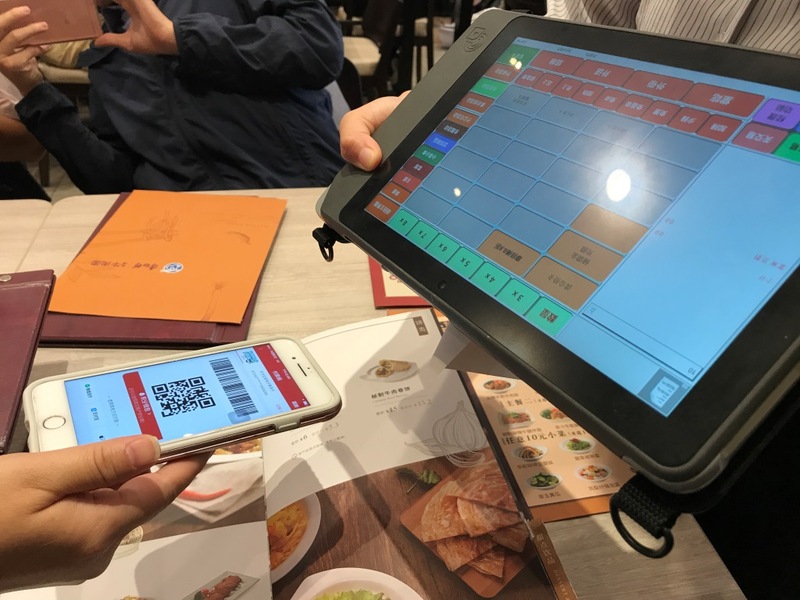 In order to streamlinethe ordering and payment processes, the restaurant adopted Advantech’s AIM-37 tablet to enable mobile table-based service.The results of implementing this solution were extremely positive. 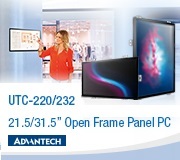 with POS software, Advantech’s AIM-37 tablet supports wireless data transmissions for order management and was deployed to facilitate table-based ordering.The compact, lightweight design means staff can easily carry the highly portable device (with 2-in-1 handstrap) around the restaurant to service customers. After an order is placed, the data is immediately transmitted to the chef in the kitchen to ensure rapid fulfilment. 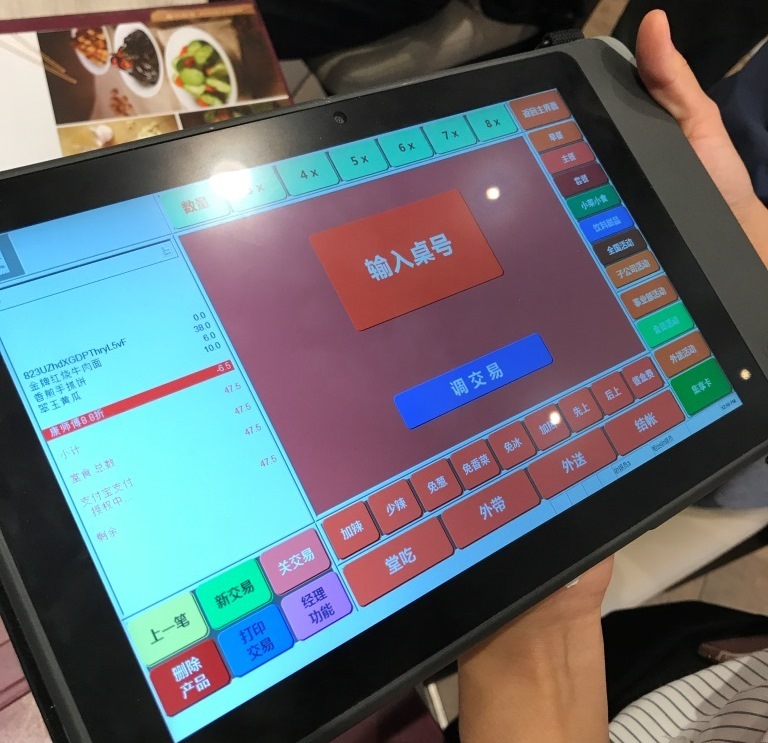 Managers can also use the tablet to manage the table, customer orders, and service status. 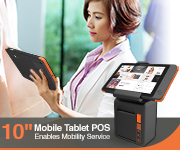 Embedded with a 2D barcode scanner, the AIM-37 tablet allows 1D/2D barcodesto be used for mobile payment service. For example, staff can quickly process payments using 2D payment barcodes from an electronic wallet, such as Wechatpay or Alipay. This simplifies the overall payment process and reduces wait timesfor improved customer satisfaction. AIM-37 features an IP54-rated front cover that prevents the ingress of water,dust, and oil. 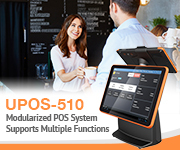 In addition to making the tablet easy to clean, the IP65-rated frontcover protects the sensors from interference to ensure that AIM-37 provides areliable and stable mobile payment solution for hospitality applications.